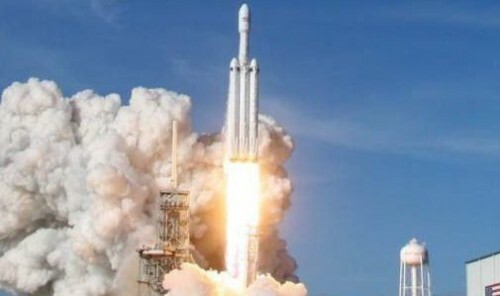 Los Angeles : US-based private spaceflight company SpaceX launched Falcon 9 rocket carrying 64 small satellites from Vandenberg Air Force Base in the state of California on Monday. The mission, dubbed SSO-A, or "SmallSat Express," set a US launch record for most satellites put into space at a single time. It is also SpaceX's first flight to reuse the Falcon 9 first-stage booster a third time. Following stage separation, the first stage of the rocket successfully landed on the "Just Read the Instructions" droneship stationed in the Pacific Ocean. It completed Falcon 9's third launch and landing this year. The "ride share" mission, SpaceX's 19th mission of 2018, was arranged by a company called Spaceflight Industries.